When Lesley-Ann Gibson won two goldfish during a visit to a fair many years ago, she could never have known that it would lead her to a future career and becoming self-employed. Now, several years later and having developed a passion for aquatics, Lesley-Ann is over the moon to have started her own business. She opened Lesley’s Aquatics in Grantham in April 2017. We spoke to Lesley-Ann about her start-up journey and plans for the future. Tell us about Lesley’s Aquatics. We specialise in both tropical and cold water fish. 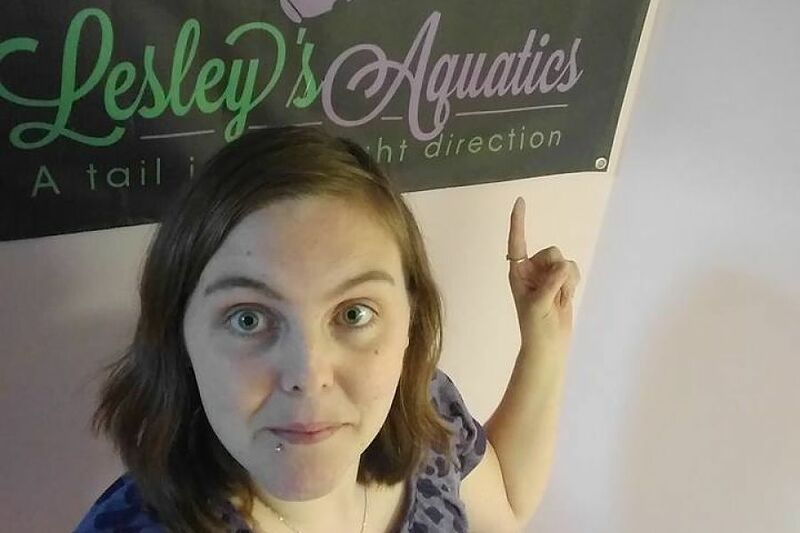 Lesley’s Aquatics has filled the gap in the town for an independent aquatics-only shop, rather than a general pet store. This, combined with my endless research, passion and enthusiasm for fish keeping has made me determined to succeed. After working from home for four years, I knew that opening a shop offered a key to an exciting future, and the buzz I received when I welcomed my first customer confirmed that the start-up journey had been worthwhile. The feeling was amazing. It really gave me confidence and pushed me to make sure I continue to learn more along the way. What have you learnt on your start-up journey? I have already learnt a huge amount during my whole time keeping and researching fish, including welfare, dealing with illness, as well as developing my business skills. Of course I am still learning, and it will be a never-ending learning business, with a wide range of rare and exciting new fish to yet discover. The highlight to date has been when I attended my first appointment with Senior Business Advisor, Sergio Aschettino from Nwes. This was where my business dream really began to pick up some pace. With support from Sergio, I was able to perfect my business plan and apply for a Start Up Loan. Using the finance to purchase stock, fish and materials, everything began to fall into place. My husband and I even stuck together the racking and glass by hand – and enjoyed every minute! Working with Nwes has been great and so easy. Sergio understood exactly what I needed and what Nwes could offer. The help is still just a phone call or email away if I ever need it in the future. At the moment, it is just myself in the shop, but in two years’ time I aim to be running my aquatics business in a larger shop and to have a couple of employees. Do you have any advice for others who are considering becoming self-employed? Plan it out in your head first. Always work out what you can bring and what makes you different.